17 LISTS Fictional Places & UniversesLists that explore the creative, visually stunning, most unforgettable worlds in film, TV, literature, comics, video games, and other media. Have you ever wanted to visit the house or apartment from your favorite movie or TV show? Want to swing by The Brady Bunch abode, rent out The Sleepless in Seattle houseboat, or have tea at the Downton Abbey castle? Well, it's not only possible, it's as easy as putting the the addresses of these famous movie houses into your GPS! Granted, some of those homes aren't real (sorry to break it to you, but Tara from Gone with the Wind doesn't actually exist) and others have been destroyed, but this list highlights some of the most iconic locations in cinematic and television history. Sometimes a film or TV house becomes a character unto itself, such as the estate in Poltergeist or the home in Home Alone. And other times, the famous houses from films and TV are just so beautiful (or quirky) that they leaves a lasting imprint on your memory. These are those famous homes! So, hop in your car and vote for the house, mansion, apartment, boat, or cabin that you think is the most memorable silver screen landmark! This red-brick Georgian home located in Winnetka, a suburb of Chicago, IL, sold for $1.85 million this year, despite the threat of those Wet Bandits. To see the McAllisters' home for your own eyes, head to 671 Lincoln Avenue in Winnetka. 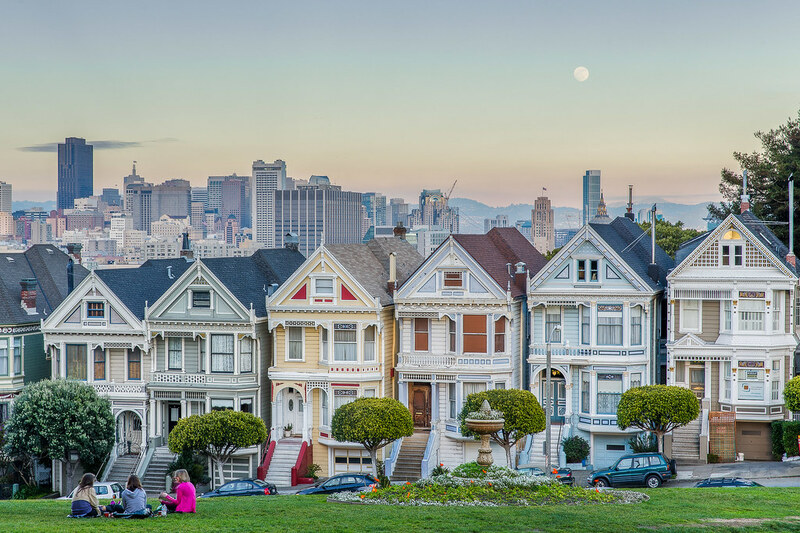 "Everywhere you look" in Alamo Square in San Francisco, you can see the famous Full House intro shots. These houses are called "The Painted Ladies" and were used to establish the show, but none of them were the actual house where the Tanners "lived." If you're REALLY interested in checking out the actual house, it's located at 1709 Broderick Street about a one mile walk from the Painted Ladies. Bob Saget returned to the house in 2013 and said the experience was "creepy." From 1990 to 1996, guests saw the Bel Air house that represented a new (and rich) life for Will Smith on The Fresh Prince of Bel Air. 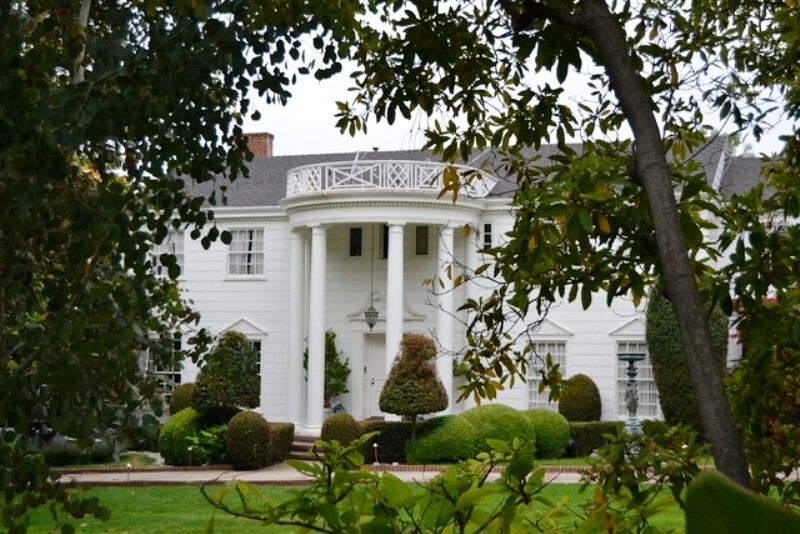 Ironically, the house isn't even in Bel Air, but located in the posh area of Brentwood instead. 251 N. Bristol Avenue, to be exact. You can swing by and check out the house whenever you're in the neighborhood, but don't expect Geoffrey to answer the door. 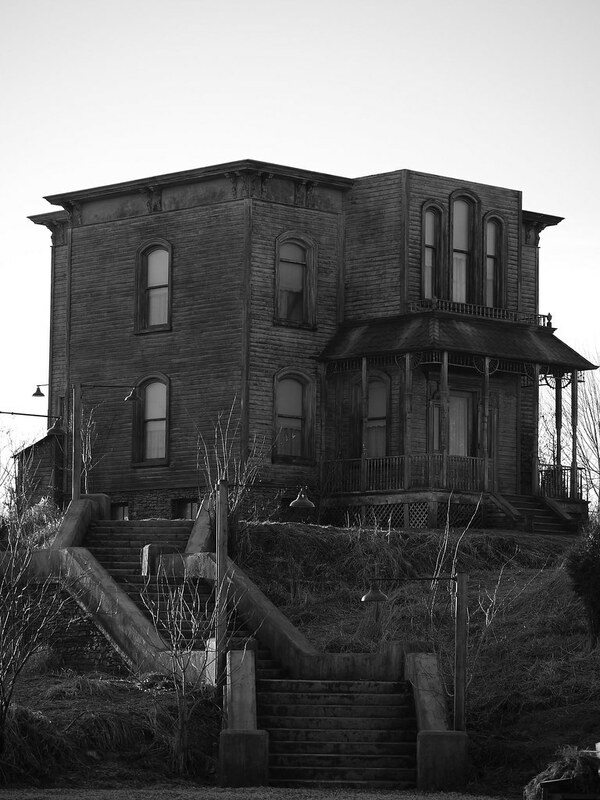 Perhaps the most iconic house in cinema history, the Bates Mansion was the creepy house on the hill where Norman Bates "kept" his mother in the 1960 Alfred Hitchcock film Psycho. Now it's featured on the show Bates Motel (a duplicate facade) but the original still stands on the backlot of Universal Studios in Hollywood, where guests can view it on studio tours. Check out Universal Studios to sign up for a tour.